If you stepped through the door of Judge Pamela Butler’s courtroom at the Monterey County Superior Court in Salinas this week, your eyes would have been drawn to an incongruous structure at the front of the room. Built out of plywood, it measures 2-feet 9-inches by 5-feet 8-inches. On one side sits a toilet, and just a few inches in front of that sits a raised lip, meant to represent the shower pan. That structure is a mockup, representing a space that was never meant to be a bathroom. It was added on to the back of a tiny East Salinas apartment almost as an afterthought, uninsulated and so poorly constructed that plant life grew through a gap at the ceiling. The shower walls were slapped on stucco, at some point covered with graffiti, and with PVC piping dangling beneath a showerhead. It’s in that room, Deputy District Attorney Steve Somers would tell a jury, that three children would be stripped of their clothes and confined, sometimes for days on end, and provided with little-to-no food. If another resident of the apartment needed to use the toilet—the only one in the house—the children would be taken out, put in their rooms and usually put back in, the door locked from the outside so they couldn’t escape. It’s where they were beaten, where they were sprayed with cold water if they cried and where they would get into even more trouble if they huddled their naked bodies together for warmth. In the filthy, overcrowded apartment that became a house of horror for those three children, the bathroom represented the dark heart torture chamber. 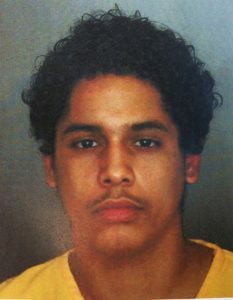 And the torturers were a 39-year-old mother of four who took the three children in after their mother was struck by a car and killed, and their drug-addicted father went to prison; and a 20-year-old man who moved in with the family at the age of 16 and was lured into a sexual relationship with the mother while still a boy and became her partner, both in her life and, allegedly, in her crimes. 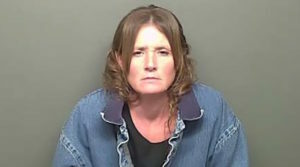 The mom in the story, Tami Joy Huntsman, pleaded guilty to the murders and abuse last month. She gave birth to her young partner’s daughter while in jail, the baby immediately taken into protective custody and placed in foster care with people who want to adopt her. As part of her plea deal, struck after prosecutors agreed to take the death penalty off the table in exchange for her guilty plea, Huntsman will spend the rest of her life in prison. The case at hand, then, is People of the State of California vs. Gonzalo Curiel, Jr. If convicted in the abuse, torture and murders of 6-year-old Shaun Tara and 3-year-old Delylah Tara, as well as the abuse and torture of their 9-year-old half-sister, who was found beaten, starving and barely alive in the back of a truck parked outside an apartment in Quincy, Curiel will spend the rest of his life in prison as well. More than two years after the grisly discovery of two children stuffed in a blue Sterilite container in Plumas County, Monterey County jurors finally get to hear details of how those children ended up there. It’s already been harrowing — and it’s likely to get even more so. They bonded over a shared interest in video gaming. Gonzalo Curiel Jr. isn’t a big guy. His arrest warrant, issued in December 2015 just days after Shaun and Delylah’s broken bodies were found stuffed inside a blue Sterilite bin in a self-storage unit in Redding, lists him as 5’3” and 154 pounds, and it doesn’t look like he’s grown much taller in the ensuing years. His face is still round and babyish, even now at age 20. He came into Huntsman’s life almost by accident. Her firtborn son, Daniel Criswell, was a freshman at Salinas High when Curiel was a junior. They fell into a friendship and bonded over a shared interest in video gaming. Huntsman, who mostly maintained an open-door policy when it came to neighborhood kids and her children’s friends running in and out, didn’t put up much of a fight when Curiel began to spend more nights at her house than he did at his own. His father spent long hours in construction and was often gone 12 hours a day, or even for days at a time, as he worked. The teen threw down on a couch in the cramped living room and slept there. As for his mother, Gonzalo Curiel Sr. says she left their son with a babysitter one day and never came back. His sister-in-law helped out a lot, he said. But if the son was seeking a mother figure, maybe he found it in Huntsman — until it became something else altogether. The Tara kids and their older half-sister had been living with Huntsman and her husband, Cris Criswell, since about March 2014. Their mother, Vivian Saucedo, died in late December 2013. The Tara kids’ father, Shaun Tara Sr., was left with all three children, including Jane Doe. He wasn’t her father, but he had known her almost since birth and represented the only father she ever knew. He chose his cousin, Tami Huntsman, as their caretaker, and brought them to Salinas before he had to report back to prison. And by all accounts, even though the family was poor and forced to cram even closer in their tiny apartment at 501 Fremont St. when the three kids moved in, they were reasonably happy. There were frequent weekend trips to Great America and lots of playing outside and riding bikes for all the kids, including Huntsman’s and Criswell’s youngest kids, 11-year-old twins, a boy and a girl. Then came Criswell’s discovery that his wife was sleeping with the teenager. A fight that ensued prompted his wife, their three youngest children, the Tara children, Jane Doe and Curiel to move into a single room at a local motel for a few days. When they returned, Criswell had moved out. That was January 2015. On April 15 of the same year, Daniel Criswell, now 18, was arrested for reasons that haven’t been made public and sent to juvenile hall. And Somers maintains that’s when things began to rapidly fall apart for the Tara kids and Jane Doe. But at first, things seemed normal. That’s what the Tara children’s grandmother, Debra Adams, told the jury when she testified on April 9 as the first witness called in the Curiel case. She had been a regular fixture in the children’s lives, and they in hers, with dinners every weekend with her son and daughter-in-law and lots of time spent together. Adams said the kids missed their mother, Vivian Saucedo, but were surprisingly well adjusted following her death. Vivian, she said, was a good mother. “She loved her kids,” Adam said. Then came her death, and Shaun Tara’s legal problems and the move to Salinas. Adams knew Huntsman — Tami was her husband’s niece and Adams had babysat her when Huntsman was a child. She hadn’t seen Tami in years but she didn’t have concerns with her; she just didn’t want the kids to be so far away, Jane Doe included. Even though they weren’t blood relatives, Adams still considered her a granddaughter. In May 2015, things started to change. She had consistently called, on holidays and birthdays, and made sure to send gifts for their birthdays. But starting in May, her calls weren’t answered, messages weren’t returned and she lost all ability to contact the kids. She says was never able to find out why. As Adams was wondering and worrying, a handful of teachers and aides at Roosevelt Elementary School in South Salinas were witnessing firsthand the rapid disintegration of the Tara children’s and Jane Doe’s lives. It unfolded in front of them. On the stand the first day of trial, they talked about what they saw between January and June of 2015, and their attempts to try to stop it. Gabriela Downer, a kindergarten teacher who had Shaun Tara in her class, described him as a boy who craved affection. He also craved food. As the school year progressed, Downer noted the boy was always hungry, to the point where she borrowed snacks from other teachers to feed him, and tried to make sure she always had extra snacks in her own room to give him. Still, she saw Shaun get progressively thinner. As hungry as Shaun was, and as in need of human kindness, he was always tired and dirty too. He often slept under a tree during recess while his classmates ran around and played. He often wore the same clothes to school day after day. Downer took money out of her own pocket to buy him clean ones — new socks, underwear and a jacket. She told Huntsman they were a donation from the school, and while Huntsman accepted them, Downer never saw the boy wear them. The clothes disappeared into the void. She called Child Protective Services and reported what she knew. And then she called her own father — her greatest confidant, she said — and asked if he and her mother would be willing to take the children in and act as their foster parents. Affection, food and clean clothes weren’t the only things Shaun and his sister needed. They also required treatment for chronic lice infestation, and that’s what brought the kids into contact with Danielle Capuyan, the school’s former health aide. Over the course of those few months, Capuyan testified she saw Jane Doe and Shaun more than 20 times because of the lice situation. The girl, she said, was very thin, with sunken-in cheeks. Shaun was thin too — much smaller than other students his age. When students come in with lice, the procedure is that they’re given a bottle of treatment and sent home. Capuyan said she sent that treatment home with Jane Doe six or seven times, but it seemed as if Huntsman never used it. Capuyan saw Jane Doe come to school day after day in the same dirty clothes. And like Downer did for Shaun, Capuyan went to Target and with money out of her own pocket bought Jane Doe clean clothes. But also like Shaun, when those clothes went home with her, she never wore them to school and they were never seen again. The hunger was also constant. Capuyan testified she would give Jane Doe and Shaun graham crackers every morning from the stash she kept in her office for kids with upset stomachs. She would take them to the school salad bar at lunch; while most kids would ignore the vegetables and take the sliced oranges, Shaun and his sister took and ate everything they could. “The other children, they were nourished and were able to go home for food. These children weren’t,” Capuyan said. Considering the lice, the clothes and the obvious starvation, Capuyan also called CPS. After June 6, 2015, the last day of the school year, neither woman saw the children again. They were enrolled for the following year, but they never showed up. Huntsman changed their status to home schooled. While other people also called CPS or police to report the children were being abused or neglected — a neighbor testified she called police after hearing 3-year-old Delylah’s cries of pain through the apartment wall and the sound of her being hit, and Huntsman’s former sister-in-law called CPS after finding the children had been left alone and Delylah zip-tied by her wrists to a bed — the children were dead in November. Prosecutors believe the children died either Thanksgiving Day of 2015, or the day after. 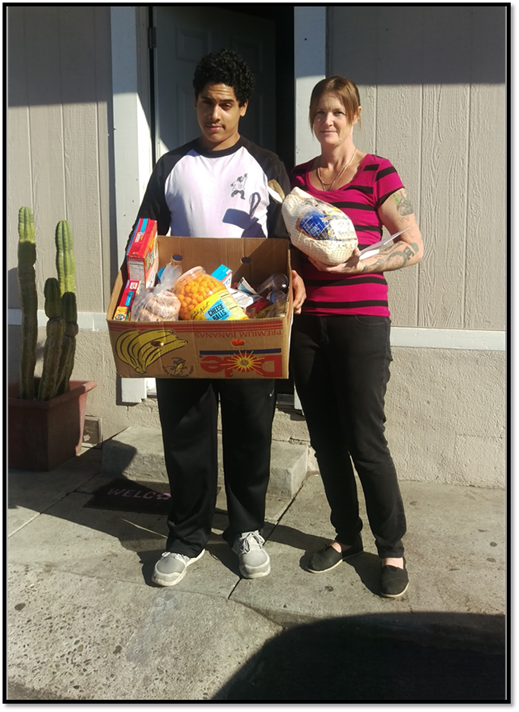 A Monterey County Probation Department employee had delivered a food basket to Huntsman for the holiday at the behest of one of her supervisors, who knew the family was having hard times in part because Huntsman’s son was still in juvenile detention. Somers says Jane Doe snuck a bagel from the kitchen, and Huntsman’s twin girl, acting on orders from her mother, told her the girl had taken food without permission. That’s when all three received a beating so severe it would end the youngest’s lives. Jane Doe told police she saw both kids being beaten on the head, and kicked in the groin numerous times — an autopsy revealed that Delylah died of blunt force trauma to the head and starvation, and Shaun, who also suffered extreme malnutrition, of blunt force trauma. But on that night, after the beatings, Delylah and Shaun were first placed in their beds, Somers said, then carried out of the apartment and placed in Huntsman’s Toyota 4-Runner. Huntsman told her own children, and other relatives, she could no longer handle them and had put them up for adoption. She then told her kids that they were moving, within days, to Plumas County. As they drove north, with a blue Sterilite container in the cargo area, a growing smell of rot permeated the vehicle. They ended up in Shingletown, a small town outside of Redding, where they bedded down at the home of one of Huntsman’s cousins. When the cousin asked how many people would be staying there, Huntsman told her it would be her, Curiel and the twins. After a fast trip back to Salinas to visit Huntsman’s son in detention and to retrieve more belongings, they returned north, this time to Quincy in Plumas County, where they stayed with another family member, described in court as a quasi-sister-in-law, a woman named April Lorenzo. Lorenzo, Somers said, felt a great deal of compassion for Jane Doe, who barely spoke, wouldn’t engage, didn’t eat meals with the family and was bone thin. Huntsman tried to explain it away by saying the girl had intellectual disabilities and emotional problems stemming from her mother’s death that led her to self-harm — she told people the bruises came because the girl would throw herself on the ground and tantrum. Lorenzo, though, sensed something was seriously wrong with the picture and asked a friend to come over and make a dispassionate assessment of the situation. When CPS and sheriff’s deputies arrived, Huntsman had already rented a small apartment in Quincy. Jane Doe was left off the rental application. Plumas County Sheriff’s Deputy Tyler Hermann knocked on the door and asked where Jane Doe was. Huntsman, Somers said, told him she was in the car, that they had just returned from the store and Jane Doe had opted to stay out there. He found her on the floor in the back seat, tucked against the floorboards and covered in clothes. And then he arrested Curiel and Huntsman on suspicion of child abuse. It was the first time anyone had mentioned their existence. Jane Doe thought her siblings had been adopted out. Joy Tara told the detective she, along with numerous others, had reported the ongoing abuse to Monterey County Child Protective Services, and that she believed the children were dead and had been left somewhere. A frantic search ensued. If the kids were out there, in the December cold, maybe they were still alive. Maybe Huntsman’s story was true, that they had been adopted out. But then, in the vehicle, detectives found a receipt for the storage unit. The detective called the Redding Police Department and told someone to get out there, stat, because maybe the kids were there and still alive. But when police opened that unit, they found air fresheners had been placed all over the unit. And waiting, in the back, was the blue container, sealed with duct tape. What police found inside was so traumatic that they were offered crisis counseling and mental health leave so they could deal with the aftermath of what they saw. She had gained weight and she was smiling at the camera. During his opening statement to the jury, Somers wove a tale of before and after. He showed pictures of the children before—Shaun mugging for the camera, Delylah at an activity table, a Jane Doe, her big brown eyes offset a pink T-shirt, all three happy, smiling and engaged in the world around them. He showed a picture of Jane Doe taken in the hospital, just after Deputy Hermann found her near death on the floor of that car in Quincy. She looked like a concentration camp survivor, her wounded body bone thin, bruised and with fractures that had never been treated and healed as they were. But for Jane Doe, there was a second after: Somers showed jurors a second picture of her, four months after she was rescued and received food and medical attention. Her eyes are clear, she had gained desperately needed weight and she was smiling at the camera. They never expected her to live, Somers said. But next week, she will testify against Curiel.